One of ECOCERT’s aims is to promote good practice and encourage changes in behaviour. It develops its expertise and then makes it available to professionals committed to improving their practices, through certification programmes or the provision of accredited technical training. ECOCERT forges partnerships with other committed players in the business, non-profit and political arenas in order to raise awareness among consumers. In addition, its experts work with national, European and international institutions to support projects that have a positive environmental impact and to develop new regulations: the European Commission, national governments, NGOs, and professional organisations. ECOCERT does not only promote good practices, it also leads by example in encouraging the development of new initiatives. Based in South of France, its headquarters, housed in an eco-friendly, energy-positive building, received LEED Platinum international certification in 2014, which recognises the best performing buildings in terms of respect for the environment. 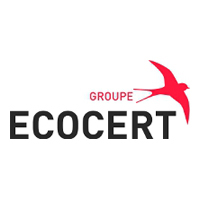 ECOCERT runs an energy and waste management policy with the involvement of its employees. It conducts a carbon audit on all its subsidiaries and offsets 100% of its greenhouse gas emissions through various measures such as tree-planting, with the contribution of its teams. Rua Alexandre Herculano, n°68 – 1° esq.